PyAudio provides Python bindings for PortAudio, the cross-platform audio I/O library. With PyAudio, you can easily use Python to play and record audio on a variety of platforms, such as GNU/Linux, Microsoft Windows, and Apple Mac OS X / macOS. "Best Python Library for handling Audio files." There are a lot of things which are useful when you use this python library for handling audio files, but below are few of the features which I like the most. 1. It's compatible with almost all the platforms ranging from Microsoft Windows, Linux and Macintosh OS or any other platform with audio hardware. 2. The I/O operations are very easy to use and the performance of handling the audio files using pyaudio is seamless. 3. 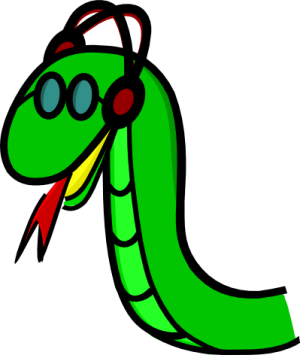 A developer can read, write, play or record audio files using pyaudio library in a python development environment. 4. Among all the set of operations, the best operation that we can perform is recording. 5. The documentation provided online is very easy to understand and they have also provided easy example codes which helps reduce the development time further improving the quality of the library. There are very few things to dislike in this library as the library is optimized to a good level to perform all the Input and output operations on audio files using python's pyaudio library, but sometimes while playback there are parts of the audio files which are skipped so in that case I need to begin the playback from the beginning or pause the audio playback. Apart from that, I haven't experienced any issues using the pyaudio library. Must use for handling audio files while using python development environment. I have been using the pyaudio library to record audio files which helps in developing software and training my neural networks which I build for speech recognition problems. "The best audio API for python"
It's great for recording audio. Instead of pecking at the keyboard. Sometimes it skips part of your audio. And then you will have to go back and pause and redo. Speech Recognition enables you to use only your voice to enter text and formatting into other computer programs. * We monitor all pyaudio reviews to prevent fraudulent reviews and keep review quality high. We do not post reviews by company employees or direct competitors. Validated reviews require the user to submit a screenshot of the product containing their user ID, in order to verify a user is an actual user of the product. Hi there! Are you looking to implement a solution like pyaudio?